2015-2016 - St. Lachteens N.S. ​We have been busy over the last year renovating classrooms, the three original classrooms built in 1948 have been redesigned and renovated into two spacious class areas. We are currently in the midst of an extension project which will incorporate a classroom, disabled toilet area and a new office. 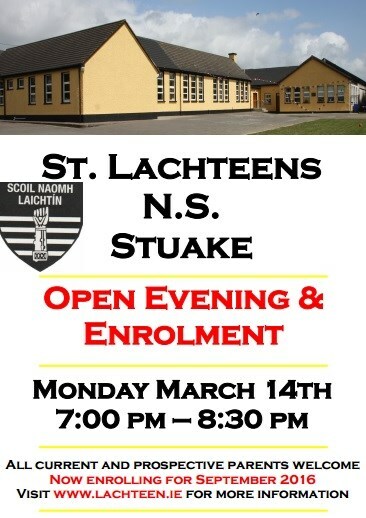 St Lachteens is a great school, with great staff and has fantastic support from parents, Board of Management, Parents Council and the wider school community. These extra facilities can only further help to match the quality of the learning and teaching that occur within the school. We apologise for any inconvenience the construction works may cause, but please bear with us while we make our school building an even better place to be. For the new school year 2016/2017 and until the project is completed we ask parents & children to continue to enter by the side entrance closest to the community centre. Seperate arrangements are in place for children travelling on the school bus. We wish our treasured colleague Maura O' Connor every best wish on her retirement. She has been a dedicated teacher in St. Lachteens for the past 27 years. She is a much loved member of staff and has worked tirelessly over the years. Staff and pupils both past and present have very fond memories of Maura's time in our school. She will be dearly missed by all. We wish her great health and happiness for the future. We celebrated a very special Graduation Mass and Ceremony with sixth class on Wednesday 22nd June. Thank you to Fr. Jerry O' Riordan and our guest of honour Mick Hartnett who is part of the All-Ireland Tug of War Team who helped celebrate this special occasion with us. It was an important milestone for our outgoing pupils as they begin the next chapter of their education. They were a fabulous class and will be missed in St. Lachteens National School. We wish them all the best and look forward to hearing about all their achievements in their bright futures ahead. Well done to the recipients of our Shining Star Certificates and Kind Kid Raffle at our June Assembly. Congratulations to the pupils who received special certificates for their attendance during the final term and the two pupils who received certificates for full attendance during the school year. 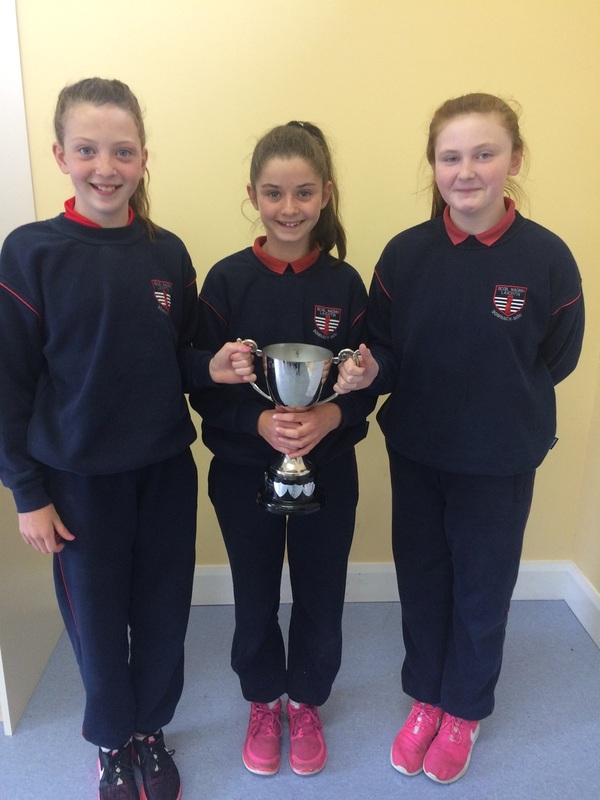 Congratulations to Donoughmore Ladies Football U12 team who recently won the Mid-Cork Final. We are very proud of our pupils who were part of the winning team. Active Week is a very important week in our school. Pupils enjoyed Teddy Bear Picnics, Scavenger Hunts, Walking a mile with a smile, playing rounders, dance lessons and much more. A fantastic day was had by all at our recent sports day. Pupils had great fun and enjoyed all activities including: three-legged races, egg and spoon races, sack races, long puck, penalty shoot outs and tug of war. Junior Infants, Senior Infants and First Class really enjoyed their recent school tour to the Mardyke. Second and Third Class had a fantastic day on their school tour at Lets Go in Mallow. They enjoyed the disco dome, the obstacle course and the KMX Carts. A thoroughly enjoyable day was had by pupils in 4th, 5th and 6th class on our recent school tour to the University of Limerick. The pupils participated in a range of activities such as kayaking, obstacle courses, orienteering and a variety of other activities. 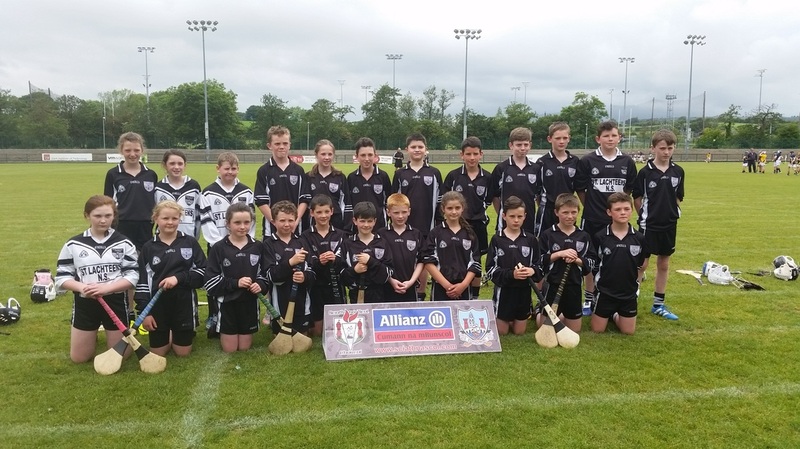 Congratulations to our boys and girls who represented our school in the Sciath na Scol Final. We are immensely proud of our team and their terrific supporters. Congratulations to our camogie team who won all their matches in the I.R.D. 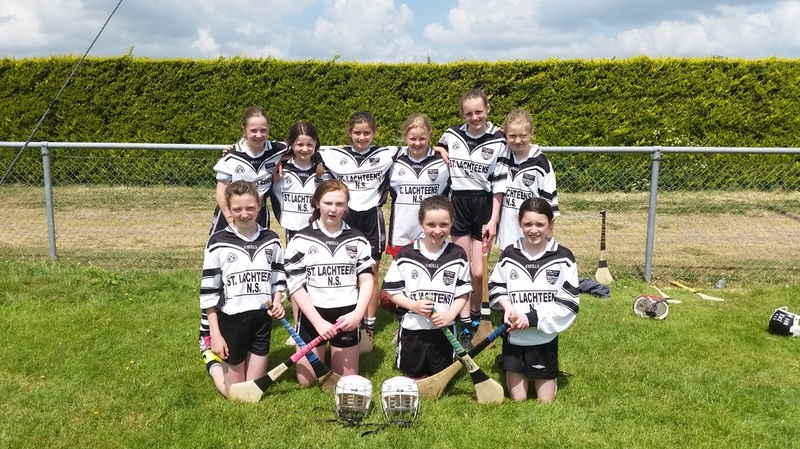 Duhallow Camogie Blitz and performed so well in the very close final. Well Done! 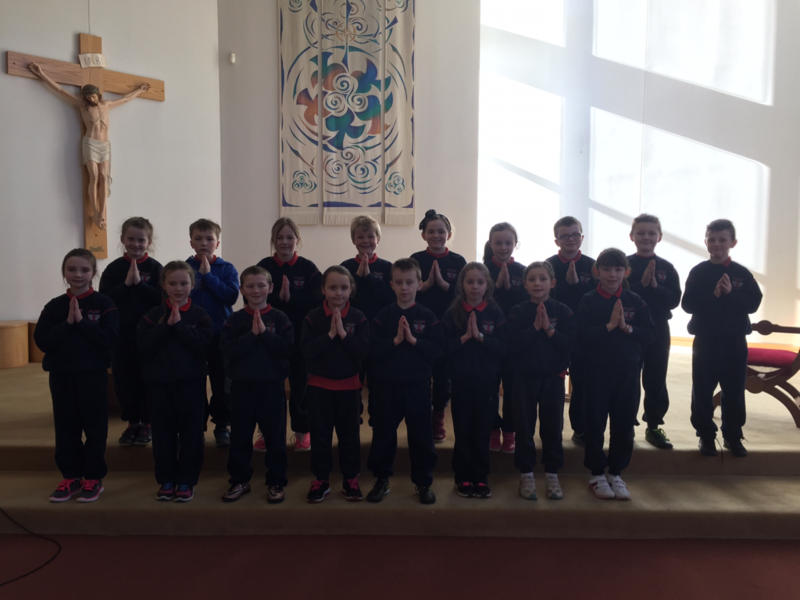 Pupils from third to sixth class participated in their Choral Verse Speaking Examinations. We welcomed the examiner Mr. Hopley to our school along with our Drama Teacher Ms. Ring and the pupils enthusiastically performed their selection of poems and songs. 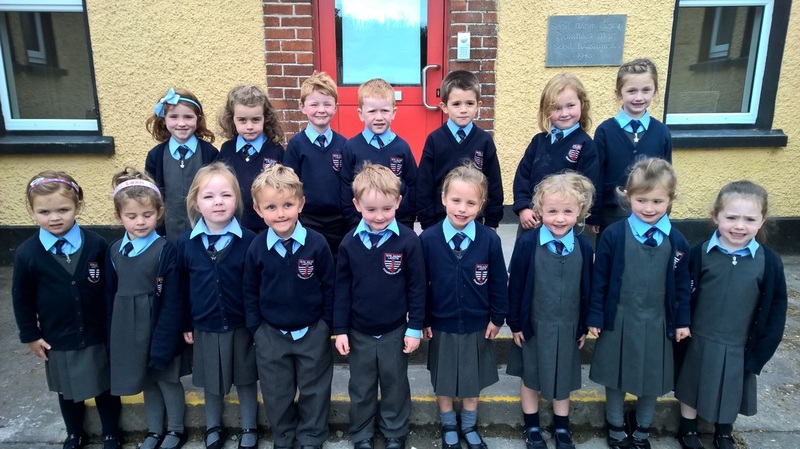 We were delighted to welcome our new junior infants to our school on Friday 3rd June. This school visit gives our new pupils and their parents the opportunity to see their new classroom, meet their teacher and all their new friends before the summer holidays. It is always a very exciting morning and we are really looking forward to these pupils beginning their school life with us on Wednesday 31st August. Thank you to all who contributed to our recent bake sale. There were lots of tasty treats and delicious home baking. Go raibh míle maith agaibh. Well Done to our pupils who participated in the Cork City Sports in C.I.T. Congratulations to our relay team who came second and the pupils who came home with trophies from their individual races for coming first and second. We are very proud of all our runners! 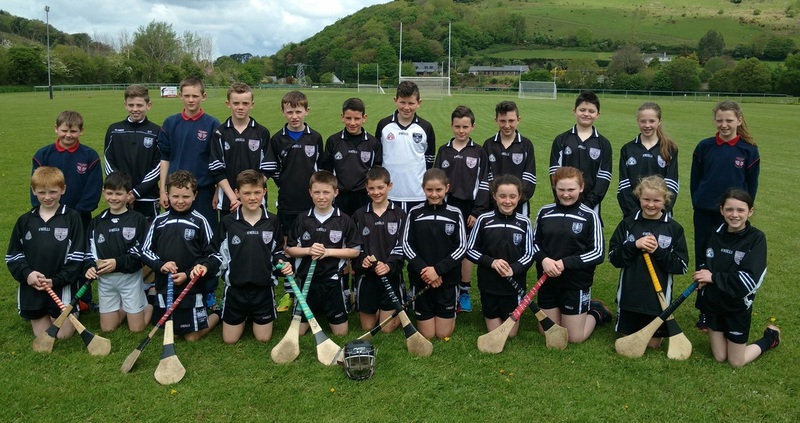 Congratulations to our Sciath na Scol Hurling Team who have qualified for the Roinn H8 Sciath na Scol Hurling Final. We are immensely proud of our team and really looking forward to the final. First Class are currently enjoying taking part of the Be Active After School Activity Programme. It is being run for a number of weeks after school. It introduces children to fun physical activity in a safe, familiar and structured setting, with an emphasis on enjoyment and learning through a variety of activities. 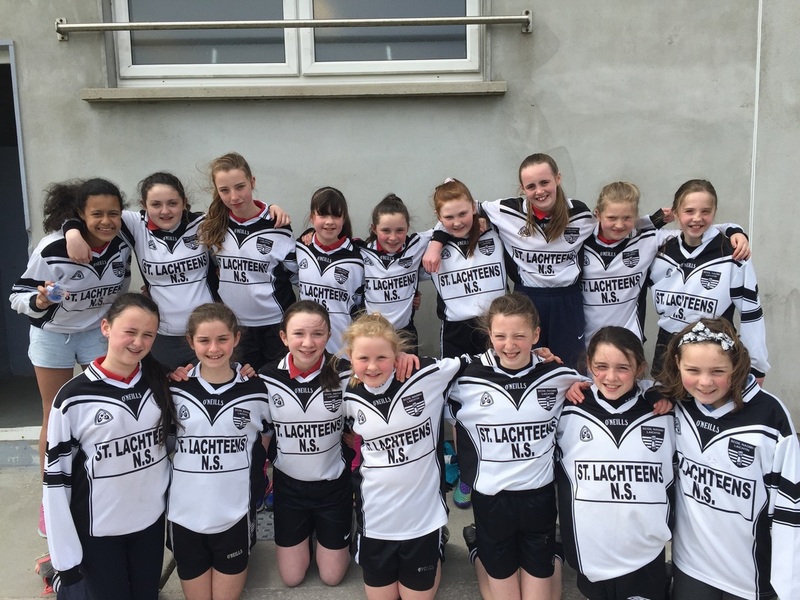 5th and 6th class girls took part in a football blitz in Rathcoole on Wednesday. They participated against three other teams and a great day was had by all involved. Well done to all pupils who participated in our internal basketball league with Mrs. O' Hanlon over the last few weeks. Pupils from third to sixth class showed tremendous dedication, team work and talent throughout the duration of the league which ended in a very exciting final. Congratulations to the winning team! Pupils in fifth and sixth class celebrated their Confirmation Commitment Ceremony in St. Lachteens Church Stuake on Monday 9th May. Thanks to Fr. O' Riordan and the musicians on the night for helping us celebrate this very special occasion. When? : This Saturday 9th April. Where? 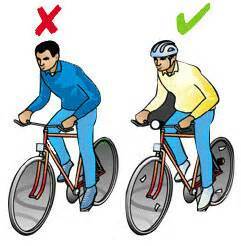 : Meeting at the Community Centre at 10am. If this is not suitable get together with your neighbours and clean up your townland in your own time. Bags will be collected by volunteers. If you need bags or want bags collected contact Monica 086 8751786. Lets clean up our parish this Spring! Céad Míle fáilte ar ais, we hope you all had a wonderful Easter break. ​Building is underway on our new school extension which will incorporate a classroom, disabled toilet area and a new office. We are all looking forward to utilising this new space. Enjoy the Easter Break. We look forward to seeing you all on Monday 4th April. We had a very busy assembly today in St. Lachteens. Congratulations to the recipients of our "Shining Star Certificates" for their excellent work in class. Well done also to the winners of our "Kind Kids Raffle" and our Easter Egg Raffle. Comhghairdeachas do na páistí a bhuaigh duaiseanna le haghaidh coicís na gaeilge. School Building Works will commence on Friday 18th March. This new school extension will incorporate a classroom, disabled toilet area and a new office. We are delighted to be starting this project and look forward to utilising and enjoying the fabulous new extension. Today was a very special day nationally in all primary schools. We raised our flag and read our school proclamations as part of the Easter 1916 Centenary Celebrations. Once the flag was raised, we were very proud to sing our national anthem Amhrán na bhFiann. 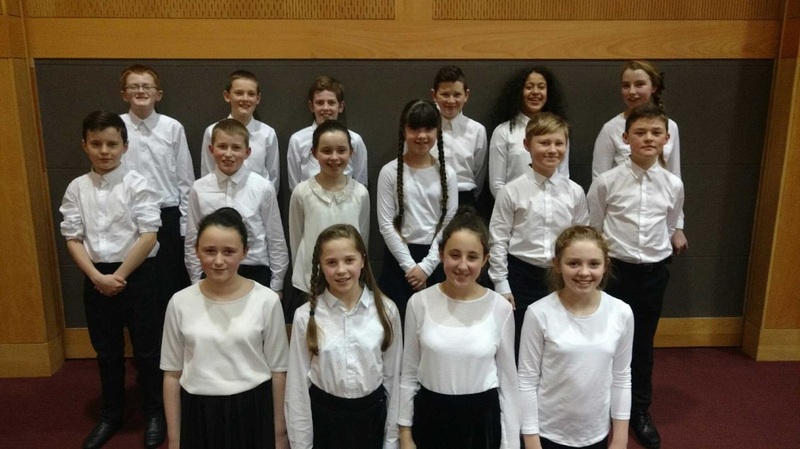 Congratulations to sixth class, who performed fabulously at the Macra Variety Concert. It was a great opportunity for our pupils to be part of this community event and experience once again the very special community spirit in our parish. Well Done to all involved! A thoroughly enjoyable day was had by the pupils and staff of St. Lachteens as we all dressed in the style of 1916. The school was transformed for the day as pupils dressed and discussed what life was like 100 years ago in preparation for the centenary celebrations. 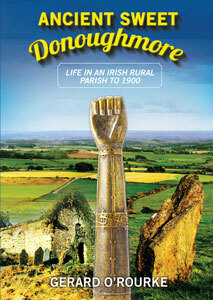 We are looking forward to Proclamation Day on Tuesday 15th March. All primary schools in Ireland will raise the national flag and read their school proclamation in remembrance of 1916. 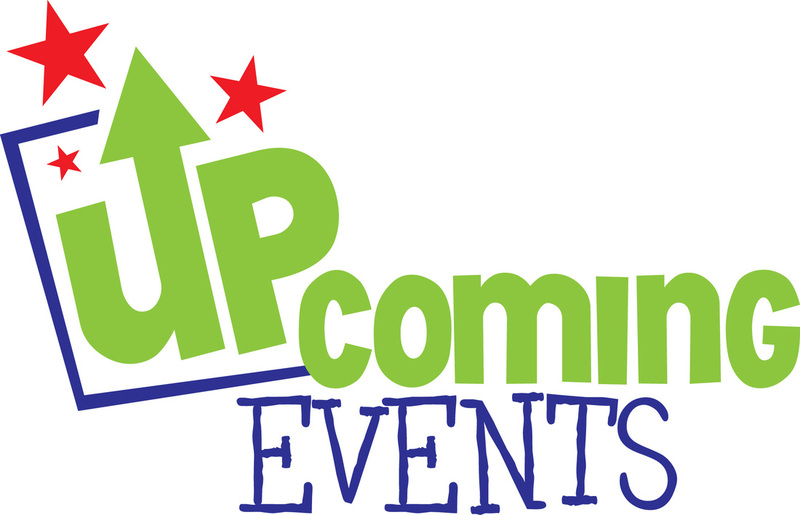 Click on our Upcoming Events Tab above or click here to keep up to date on our upcoming events. Second Class are busy preparing for their First Confession. This will take place this Thursday, March 10th at 7.30pm. Pupils in 3rd class recently took part in a hurling blitz. A very enjoyable day was had by all. Well done. Pupils in senior infants participated in a wide range of learning activities through play in their recent Aistear lessons based on the theme of the Créche. 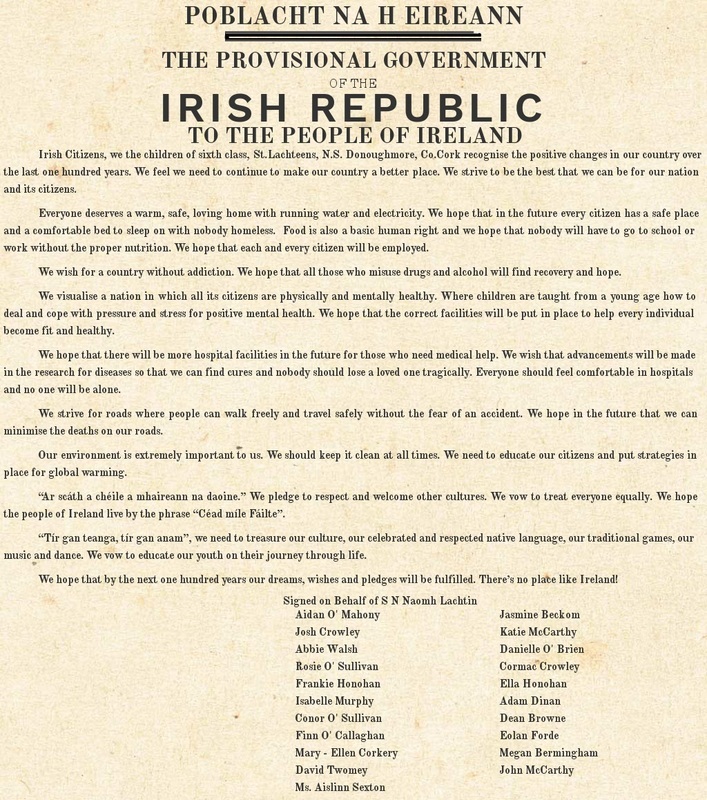 ​As part of the centenary celebrations each school has been invited to write a ‘Proclamation for a New Generation’. The aim of this project is that the young people of Ireland will come up with new Proclamations which reflects their vision for a modern Ireland, which embraces people from many nations and cultures. Sixth class recently discussed and wrote their own proclamation which can be read below. Sixth Class pupils really enjoyed their recent Basketball Blitz. They are now looking forward to their internal basketball league. 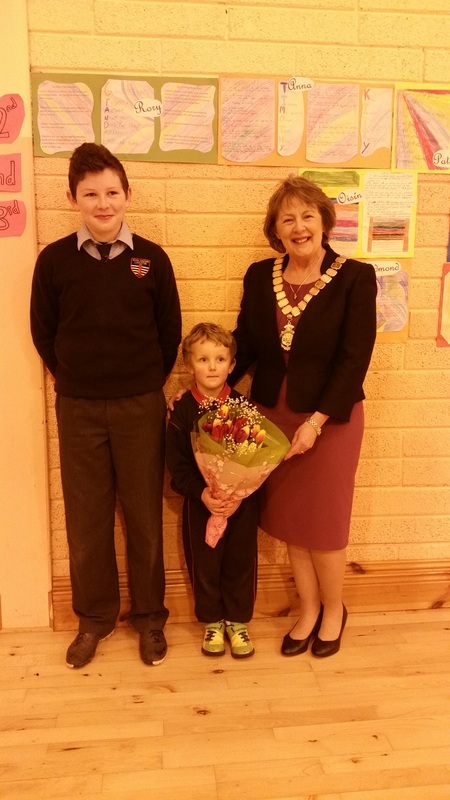 We were honoured to welcome Emma Dineen, President of the I.N.T.O. to our school. We gathered in the hall to greet her and she spoke to us about her important role and the schools and countries she has visited. We really enjoyed her visit and the sixth class sang her a song which they had learned for the opening ceremony of the 1916 Celebrations. 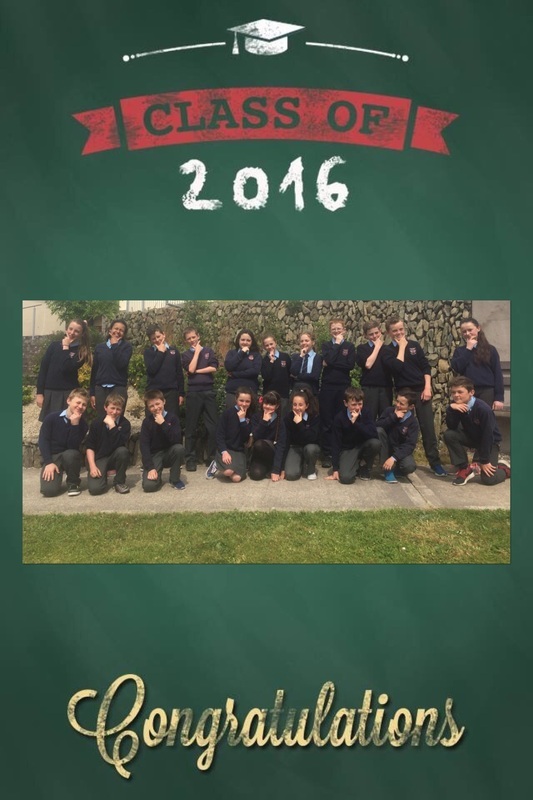 Pupils from fifth and sixth class recently participated in a F.A.I. 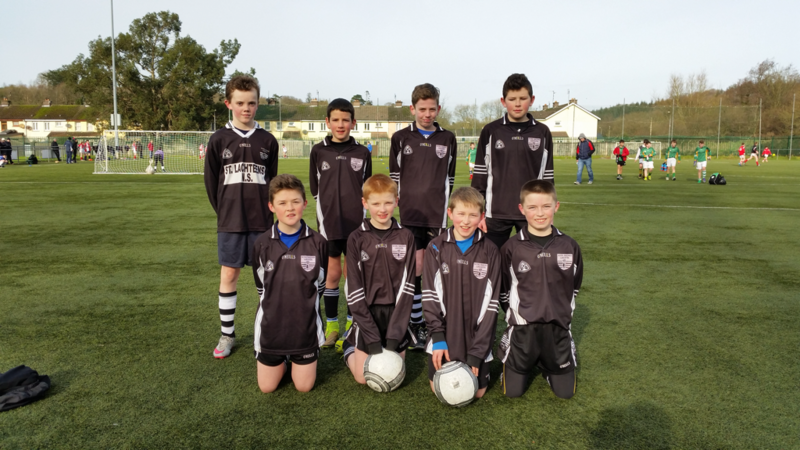 Soccer Blitz which was held in O'Shea Park, the grounds of Blarney United Athletic Club. They participated against three other teams on the day and a very enjoyable day was had by all. Well Done! As part of Safer Internet Day 2016 the pupils in rang a sé engaged in a positive messages campaign. We discussed many steps we could take to stay safe on the internet. This positive messages campaign also links with our recent guest speaker who discussed Positive Mental Health with us. Lots of delicious pancakes were made today in school to mark Máirt na hInide (Shrove Tuesday) and the beginning of lent. The pupils loved the tasty treats. Second and Third class had great fun learning how to make pizzas. The finished products were really tasty. They are now going to write the recipes in class as part of instructional writing so that they can make these delicious snacks at home. Lá Fhèile Bríde, Happy St. Bridget's Day. To celebrate the feast day of St. Bridget and the first day of Spring we made St. Bridget's crosses and discussed her life and stories associated with St.Bridget. Click here to read about St. Bridget. Click here for instructions on how to make St. Bridget Crosses at home. Slán leat agus go raibh míle maith agat! Today we said a fond farewell to our bus driver Kieran O' Sullivan who is changing jobs. We thank him most sincerely for the kindness he showed to each and every one of our pupils who travelled on "Kieran's bus" with him from junior infants to sixth class. Kieran has been a bus driver here for over eight years and will be greatly missed. We are all very sorry to see him go and wish him all the best from all in St.Lachteens N.S. Go n-éirí an bóthar leat! Congratulations to all our "Super Star" recipients for excelling in a particular area. Well done also to the winners of our "Kind Kids" Draw. Keep up the good work! Sixth class were recently practicing instructional writing and decided to invent their own boardgames. They invented, designed and wrote their own instructions for each board game. They tested them out on each other and had great fun playing the games with fourth and fifth class - Well Done! The Bumbleance Calendar, a well designed, colourful calendar which features one of our pupils Matthew Power is available to purchase from the school for €10. All who support this worthy cause will be entered into a raffle for lots of super prizes. Congratulations to Ciara Fox in rang a cúig. She has been selected as a semi-finalist in the "Doodle 4 Google Ireland is ...." competition. Finalists will be selected by an expert judging panel. These finalists will go forward to a public voting stage where their doodles will be displayed online (google.ie/doodle4google) from 7th February 2016. These finalists will be invited to a prize-giving event at the Google offices in Dublin in March where the winner will be announced live. We are very proud of Ciara. Best of luck Ciara - Go n-éirí an t-ádh leat! The Cross Border Orchestra of Ireland officially opened the Ireland 2016 State Commemorative Programme with a showcase performance at the Convention Centre Dublin on 1st January 2016. It was a huge honour for our school to participate in such a wonderful occasion and a great start to 2016! 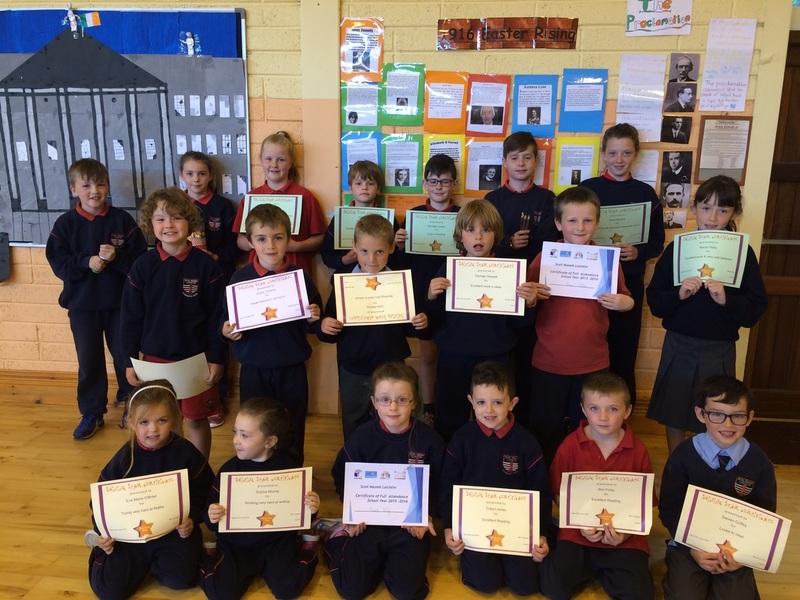 Congratulations to the recipients of our "Shining Star Certificates" this month. These pupils have put a fabulous effort into their work in class and are all very worthy recipients. Keep up the good work! Congratulations also to the winners of our Kind Kids Raffle. We had a great time at assembly today, everyone is full of Christmas cheer as we count down the days to Christmas Day. We sang lots of Christmas songs for this extra special assembly. Well Done also to the pupils from second class who generously prepared lots of lovely gifts for St.Vincent De Paul. We wish you all a very Merry Christmas and a Happy New Year. Nollaig shona agus athbhliain faoi mhaise daoibh go léir! Pupils from fourth, fifth and sixth had tremendous fun decorating their Christmas Logs this year. They showed incredible imagination and innovation in their designs. Well done to all involved. Check out the photos of their fabulous creations below. All our star pupils in St.Lachteens took to the stage to perform their Christmas Plays on Thursday 17th December. The pupils were incredibly excited and enjoyed all the performances. A huge thank you to all the parents for their help and to Ms. Ring our drama teacher for helping us prepare for this fantastic event. Have a look at the picture of our fabulous Christmas Tree below. 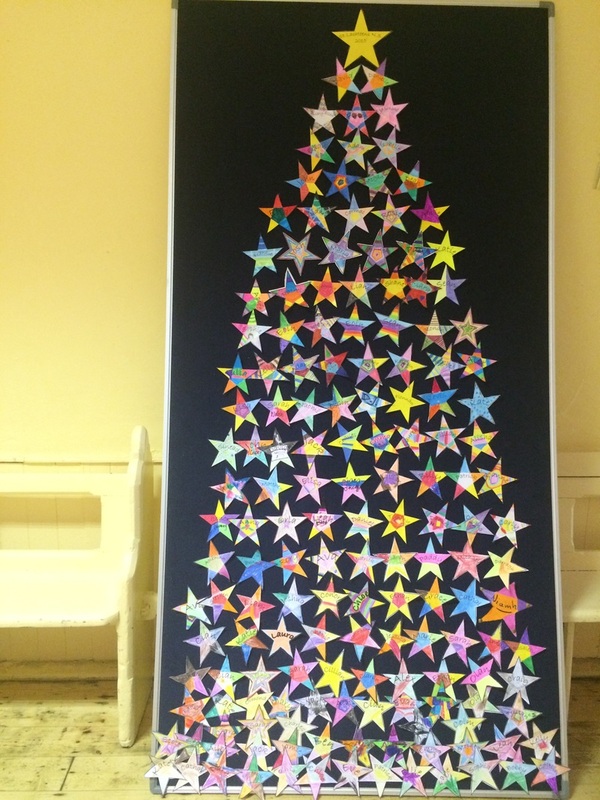 This unique Christmas Tree contains the names of each pupil in our school which they decorated themselves. We have received lots of fabulous prizes for our "Super Christmas Hamper Draw". Thank you all for your support. There are ten fantastic hampers to be won and a special hamper will be donated to St. Vincent de Paul. Tickets are on sale in school and in Jamsie's Shop. Raffle tickets are €2 per strip and three strips for €5. We were absolutely delighted to welcome Santa and his elf to St. Lachteens N.S. today. Pupils from second to sixth class participated in and thoroughly enjoyed an hour of code as part of Computer Science Education Week 7th to 13th December. To continue coding at home click on the following link. We had a fabulous day at Grandparents Day today. We celebrated a beautiful mass and sang in the school choir. We were absolutely delighted to see our grandparents in the church, some travelled very long distances to share this special day with us. We had lots of treats in the school hall afterwards. A special thank you to Geraldine Walsh, Deirdre Ryan and all the parents for your help - setting up our school hall, baking lots of delicious goodies, serving teas and coffees and tidying up our hall afterwards, it is greatly appreciated. We are looking forward to next year already. There is great excitement in our school in the run up to Christmas. We are busy preparing for our Christmas Play on the 17th December. We hope you enjoy our art work! Our pupils in sixth class have made some fabulous floral arrangements for Christmas. They are very proud of their finished products. Well Done to all! Minister for the Arts, Heritage and the Gaeltacht Heather Humphreys T.D. launched the Ireland 2016 Peace Proms on Sunday 29th November in Dundalk Institute of Technology. Our sixth class pupils are busy preparing the songs for this exciting event and are really looking forward to being part of such a momentous event. Click here to see R.T.E. news coverage of the launch. Congratulations to all pupils who received certificates for their exceptional effort in school. Well done also to the pupils who won the 'Kind Kid' Raffle. Keep up the good work! ​St Lachteens had a very special visit when Sgt. Denis McGarry and Gunner Mark Ahern, members of the Defence Forces delivered the National Flag and a copy of the 1916 Proclamation to the school in advance of the 1916 Centenary Celebrations. 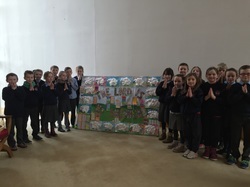 Children, parents, grandparents and members of various community groups assembled in the school hall for the occasion and listened avidly while they were informed about the Proclamation, the history of the Irish Flag and how to care for it. ​The Cross Border Orchestra of Ireland has been invited to officially open the Ireland 2016 State Commemorative Programme with a showcase performance at the Convention Centre Dublin on 1st January 2016. St Lachteens have been selected to represent Cork County at this inimitable occasion. Pupils from Sixth Class will be busy practicing with their teacher Ms Sexton for this historic event. Rena Buckley, Briege Corkery, Mairéad Corkery and Frankie Honohan visited our school today with the Brendan Martin Cup and the O' Duffy Cup. We were delighted to welcome them to our school. Rena and Briege have won sixteen All-Ireland medals each, which is an outstanding achievement. They spoke to us about sport, keeping healthy, training and working together as a team. We all wore red for the day and gave a huge cheer when they arrived into our school hall. Today, November 2nd 2015 marks George Boole's 200th birthday. To celebrate the legacy of this mathematician and logician UCC launched an initiative for schools entitled "Boole2School" to introduce George Boole to classrooms all over the world. Today we learned all about George Boole. We explored some examples of logic. We learned how Boolean Logic is used in the world around us and in some familiar computer games and we applied his theories to help us solve lots of puzzles. We had a fabulous day and we all received certificates for participating in the project. We now understand why the Boole Library in UCC has been named after him and the impact his logic has had on our everyday lives. Happy Birthday George Boole! We've been very busy getting ready for Halloween in St. Lachteens. We hope you all enjoy the holidays, especially our Halloween Disco, organised by the Parents Council. Congratulations to the selected pupils from each class who received certificates for excelling in a certain area over the last month. Well done, also to the winners of our "Kind Kids" prizes this month. Our raffle box was bursting with "Kind Kids" cards as all the pupils have been very kind to all their friends. Keep up the good work! We had a fantastic response to the clothes collection, many thanks to everyone who contributed. We had a great day today at assembly. Pupils were presented with "Shining Star Certificates" and we had a raffle for our "Kind Kids". Pupils from every class were awarded a "Shining Star Certificate". These were presented in front of the entire school. These certificates were awarded to pupils in recognition of their outstanding work during the month of September. In St. Lachteens we know how important it is to be kind to everyone in our school. When a teacher notices a pupil being extra kind they give them a "Kind Kid" card. At the end of the month all our "Kind Kid" cards are entered into a raffle. The lucky winner gets a cool prize. We are counting down the days until next months assembly. The school turned red today in support of Cork Ladies Footballers. We will all be supporting them in the All-Ireland Final on Sunday. There are a range of after school activities organised by the Parents Council in our school. The pupils can enjoy art class with Ann O' Halloran after school on Wednesday, guitar lessons with Ger McCauley on Thursday and dance class with Aileen Duffy on Friday. Speech and Drama classes for pupils from senior infants will begin in October with Martina Ring. The captain of the Cork All- Ireland Winning Camogie team, Ashling Thompson visited our school today with the O' Duffy Cup. It was fantastic to be able to see and hold the cup. We asked Ashling lots of questions. We are looking forward to our "Red Day" on Friday and supporting Cork as they take on Dublin on Sunday. We have our fingers crossed that the Cork ladies will win the double! We were all delighted to support the local fundraising efforts for Marymount Hospice today. We held a non-uniform day and raised €307. Please support the fundraising night which will be held tonight (Thursday 17th September) from 7-9 in the community centre. 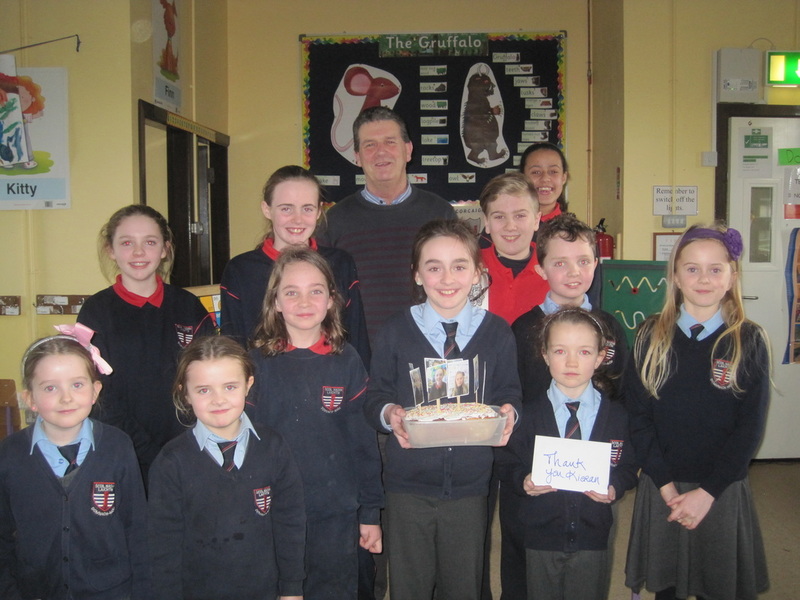 Our local guard Pat Nolan, visited the pupils in fourth, fifth and sixth class. He spoke to us about crime prevention and crime detection. It was a really informative visit and we asked him lots of questions. We look forward to him visiting again soon. Welcome back! We're all looking forward to another fun filled year at St. Lachteens N.S. A big welcome to all our new Junior Infants. They have settled in wonderfully to school life. We wish them the very best as they begin their journey through primary school. A lot of changes have taken place in St. Lachteens over the summer. The three original classrooms from 1948 have been renovated into two fabulous classrooms. We are delighted with the redesigned space. Soon we will also be embarking on a new school extension which will incorporate a classroom, disabled toilet area, a new entrance lobby and a new office. We look forward to starting this project. St Lachteens is a great school, with great staff and has fantastic support from parents, Board of Management, Parents Council and the wider school community. These extra facilities can only further help to match the quality of the learning and teaching that occurs within the school.